Minister of Employment, Youth and Sports Paul Kamara (right) signs the Memorandum of Understanding for the Development of the Pitch for the Main Bowl of the National Stadium in Freetown as Sierra Leone Football Association President Isha Johansen (center) looks on. The wake of recent troubles at Battery Street are over and this week’s news promises to put a smile on the face of football. 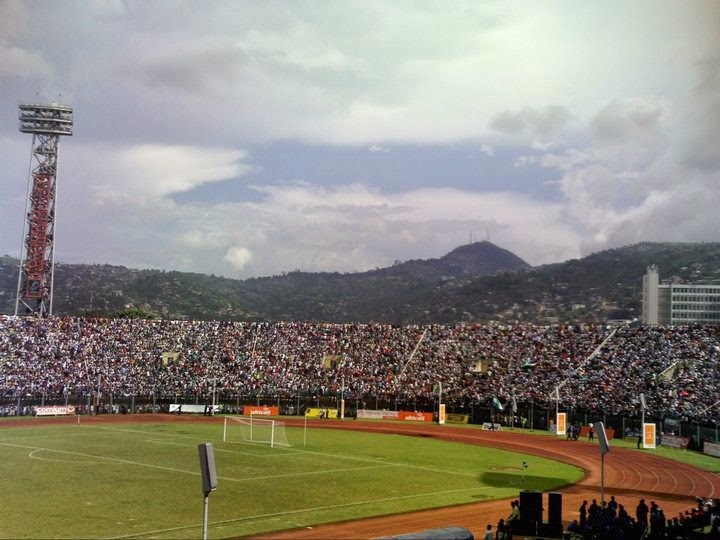 On Tuesday, March 18, the Sierra Leone Football Association (SLFA) signed an agreement to replace the natural turf at the Siaka Stevens National Stadium with an artificial one. The Ministry of Employment, Youth and Sports will lease the pitch to the SLFA for 20 years, and the lease will require the football association to pay ground rent as agreed upon. The FA will be responsible for day-to-day operations, expenses, and costs for maintenance and repairs to the pitch. The Sports Ministry and the government will have no responsibility for any pitch operating expenses, the document reiterates. In addition, the memorandum states that the government of Sierra Leone has agreed to allow duty free imports of construction materials and the contractor will be a local company chosen by tender. The FA will call for bids in accordance with FIFA regulations and procedures, the document said. 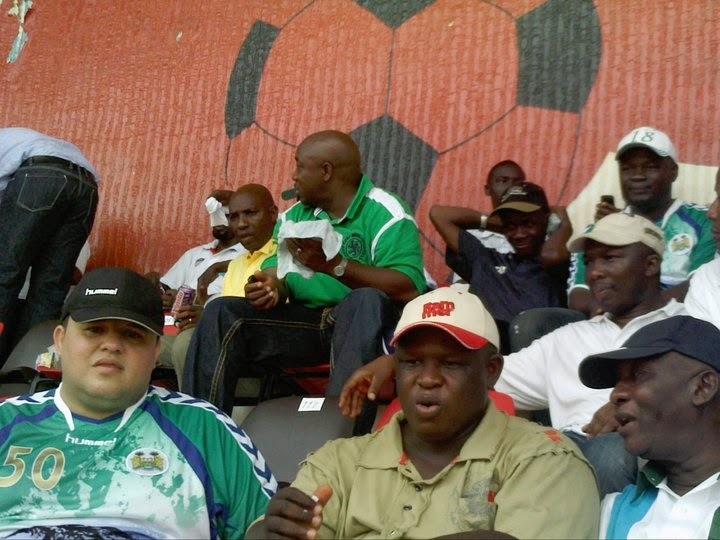 This 2010 archive photo taken during a match at the Siaka Stevens National Stadium shows the natural turf that the SLFA will replace with a new artificial turf that conforms to the FIFA Quality Program for Football Turf and the International Football Turf Standard. Sewa News asked Rodney Michael (far left in this archive photo) what he thought of the news. Below are excerpts from the e-mail interview. Rodney Michael: My fear is the negotiations may not be very good for the FA. [Because] it appears we are only going to control the Pitch of the Main Bowl, which means the Ministry controls and manages the main bowl. Being in charge of only the grass area means the FA is not in control, yet we have to pay ground rent and be responsible for the maintenance of the pitch. It could be a good development, if the Ministry would hand over the entire main bowl so the FA can acquire sponsorship and other benefits. Sewa News: In the FA document, I read that the ministry will charge ground lease to the SLFA for 20 years, and the lease will require the FA to pay ground rent. I also read the SLFA will control and be responsible for all day-to-day operations, expenses, and costs for maintenance and repairs; and that the Ministry and GOSL will have no responsibility for any operating pitch expenses. Rodney Michael: The Pitch is where they play football and that is what the FA is paying rent for and [will be] responsible for all operating and repair and maintenance expenses. The Main Bowl is the Stadium, literally speaking, and the Ministry controls that, and, they collect advertisement rights and stadium rentals etc. The Memorandum does not restrict the ministry from renting the main bowl for crusades and public functions as long as they do not use the pitch. That for me is a raw deal for the FA--and a great deal for the ministry. Sewa News: Why do you think the ministry should give up the National Stadium to the FA? Rodney Michael: The investment is about $600,000. Maintenance and operational expenditure of the pitch could reach $30,000 a year. Only way the FA can receive some returns from that investment is through adverts and bowl rentals and the only secured way of protecting the pitch is to be in charge of the main bowl. Sewa News: How will the football association promote and encourage economic football? Rodney Michael: Getting control of the main bowl could be a start but our tax laws make it difficult to encourage economic football; rather it will remain a sacrifice. Also, the lack of television rights and marketing potential keeps sponsors away. Even the Premier League has not been able to secure a reliable sponsor since the new Executive Committee assumed office in August last year. The only reliable sponsors, Mercury, were told to keep their money by the FA; that they would prefer other sponsors. But there are claims Sierra Leone Brewery, Airtel Sierra Leone and Print Point coming on board. Sewa News: When will the FA call for bids? Rodney Michael: The call for bids will only be for the drainage system. Bids for the pitch itself will be international and FIFA has its own recognized contractors for that. Not sure when but all calls will be after final contract is signed. Sewa News: When do you think work will start on removing the natural turf and preparing the base? Rodney Michael: These contracts are sometimes sorted out pretty fast but in this case I will say later in the year.